Welcome to All Air Compressor Mechanical Engineering, Inc., the authority in industrial air compressors, Chicago Pneumatic, and Ingersoll Rand Air Compressors Los Angeles clients trust. companies have known and trusted throughout the years. We offer high quality products at truly competitive rates, but that's not all we offer! 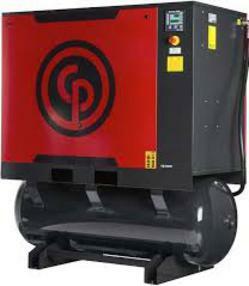 We also provide industrial air compressor services. We deliver top-notch repair, maintenance and even provide Local on-site emergency assistance for urgent air compressor concerns. We provide replacement parts and electric motors for all air compressors to ensure that your air compressors works exactly as they should for a long time to come. Here at All Air Compressor Mechanical Engineering, Inc., we pride ourselves in offering the best products at the best prices. Our goal is to ensure total customer satisfaction and we are prepared to go the extra mile to make sure our clients are happy with our products and services. We offer fast, friendly service that's dependable, cost-effective and easily accessible. Your industrial air compressors require preventive maintenance on a regular basis to ensure proper working order for a long, long time to come. When dealing with industrial air compressors, it is of utmost importance that you avail the services of a trustworthy, professional service company to ensure that your air compressors stay in optimum working capacity. While there may be many service companies out there, there's really no need to look anywhere else. Here at All Air Compressor Mechanical Engineering, Inc., your peace of mind is our guaranty. Copyright © 2014 All Air Compressor Mechanical Engineering Inc. All Rights Reserved.